After several months of private beta testing with select pilot enterprises, Google announced yesterday the launch of new Google+ business features and tools designed to exploit a tendency that is calling the company, “going Google”. 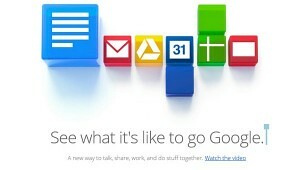 What is “going Google” and what does this have to do with the new features in Google +? Well according to Google, the tendency describes businesses that are increasingly reliant on the cloud and adopting the same applications their employees use at home – things like Gmail, Docs, Drive, and Google Calendar. As Google Apps, we think that Google+ can help colleagues collaborate more easily and get things done and get to know each other along the way,” said Clay Bavor, Google Apps Product Management Director in the announcement on Official Blog of Google Enterprise. Allowing people to hold face-to-face meetings, updates to share, collaborate on presentations are just some of the things that can be done for those colleagues who are either across the street or across the world using the new Google+ business tools. So what exactly are these new tools and functionality? Today we’re launching an initial set of Google+ features specifically designed for businesses, and we’re excited to move into a full preview mode for clients Apps. During this preview period, organizations that have gone Google will be able to use the features of Google+ business free until the end of 2013, as we continue to add more features and administrative controls designed for organizations. Private Sharing: Now, Google Apps users can control how content is posted to Google+. For example, a Google+ post can easily be restricted to within an organization or be shared with specific partners outside of an organization. Video Meetings: Google+ Hangouts, which is now integrated with Google Apps, allows video conferencing for up to 10 people. This feature allows face-to-face meetings using either webcams or Smartphone’s. Administrative Controls: The admin settings allow administrators to set company-wide defaults for posts and restrict Hangouts to specific users to ensure private meetings. In addition to the features listed above, Google has indicated that it would be introduced additional functionality relating to administrative checks, mobile services and more in the coming months. Although initially available the new suite of free tools, charging a subscription fee to Google Apps will be required starting in early 2014. However, the pricing details have not been released at this time.